Would you like to learn sign language? Enhance your career prospects? Or make your organisation more inclusive? Our Access Ambassadors provide training and consultancy services to create an inclusive culture for deaf and hard of hearing people. We offer British Sign Language courses, Deaf Awareness training, and information on accessible services. 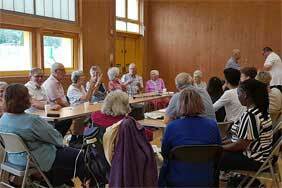 We are a Deaf-led organisation based in Milton Keynes. We love our community and work towards creating inclusive services, employment and environments for deaf and hard of hearing people. We deliver a range of Sign Language courses up to Level 3 and a range of courses including Deaf Awareness sessions for businesses who want to meet the needs of their customers. We also provide independent living support, an advice and information service and support a range of accessible social activities. For those that need employment support, we also provide interpreting support before, during and after the job application process. 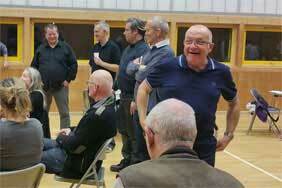 We invest back into the community by supporting groups such as MK Deaf Zone and the Hard of Hearing Support group. If you are deaf or have hearing loss, we provide support and information so you can access services and employment. We also encourage participation in community activities as this helps to improve mental and physical well being. More information about our services can be found on our Community page. We can help you to become more responsive to a wider range of customers, including deaf and hard of hearing customers. We can also help you widen your talent pool as well as support employees with hearing loss. Our support ranges from basic information to consultancy services to match business needs. More information on this can be found on our business page. We offer a range of sign language courses that follow a nationally recognised framework for complete beginners through to level 3 – the equivalent of an ‘A’-Level. 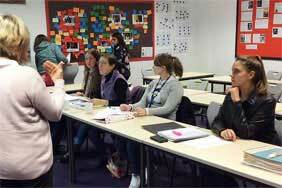 What’s more, all of our courses are delivered by experienced Deaf* sign language users. For more information about the courses we offer, please visit our courses page. Do you or anyone you know have Asthma? Access Ambassadors shared a link.